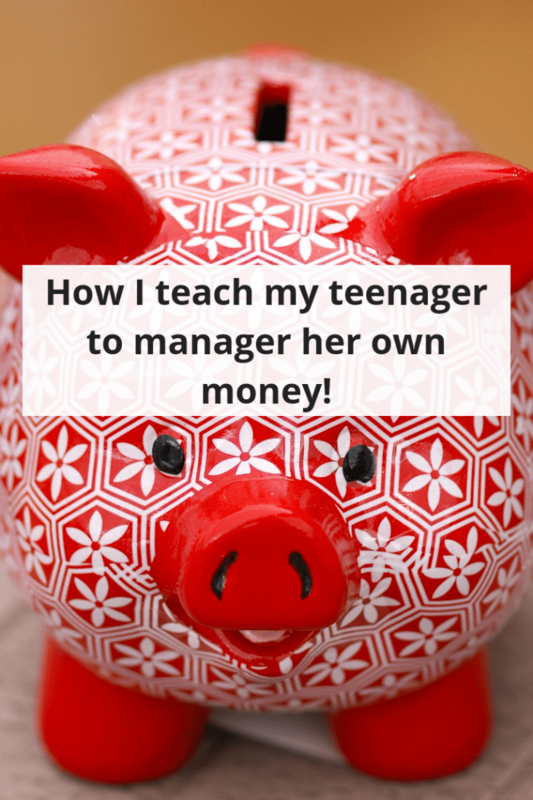 10 things I do to teach my teenager how to manage her own money…. 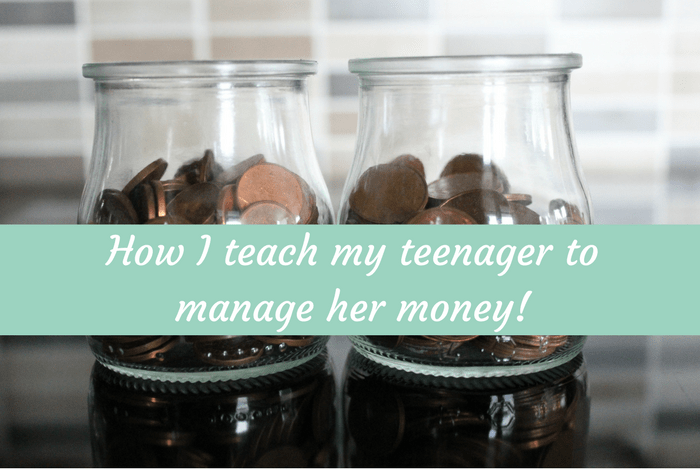 I’ve written before about the different ways that I’ve taught my children how to manage their own money but things have changed as far as Miss Frugal is concerned now that she’s almost 16 so I thought I’d update you. The older children get, the more responsibility they should have as far as money is concerned in my opinion which is why you might be surprised to see some of things I do to help Miss Frugal learn. She’s so good with money right now and I have everything crossed that she’s stays so money savvy as she gets older and doesn’t end up in the mess we got into when we weren’t much older than she is now. I’m a big believer that older children aren’t going to learn to manage their money properly when they’re only given a small amount manage because they need enough money to be able to spend, save and to make mistakes with. When she was younger for example and was on £5 pocketmoney a week, she would have to save for 6 weeks to buy something that was £30 and would have no spare money to manage each week so although she was saving, she wasn’t really learning much about money management as a whole if you know what I mean. We don’t pay all of our wages into one account and not touch it all month do we? No, we pay bills and budget the rest making sure we have enough money to last us until we get paid again and that’s what I’m trying to teach her. Now she gets the amount I get for her monthly child allowance paid into her bank account directly. But before you look shocked at how much she gets, read on and find out why it works for us. She gets pocketmoney once a month on a set day which doesn’t change at all as it’s set up through bank transfer. My payday is her payday! I changed from weekly to monthly when I increased her pocketmoney as I wanted her to have enough money at once to buy something bigger than she would normally buy if she wanted to and also I felt like a month was a better period of time for her to learn to budget over. 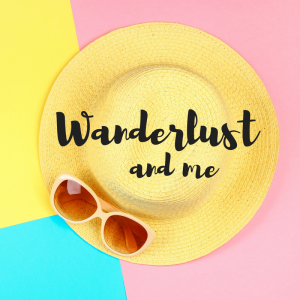 When I paid her weekly, she could, in theory, have spent it all on a day out with her friends and then not worry because the same time next week she’d get paid again – monthly means she has to think more about where she spends her money. In order to teach her how to budget properly, she needs to know when to expect her next payment so rather than rely on me going to cash machine (which I’m bad at) it’s set up to pay automatically through my bank. I want her to learn to save because she wants to so I don’t tell her that she needs to save any of her money. The decision is hers and I’m pleased that she’s a brilliant saver so I’ve never had to reconsider my position on this one. She knows when we’re going on holiday or doing something special and she plans her savings around that. I can’t say I agree with her choice of purchases all the time but it’s her money so she can spend it however she wants to (within reason obviously). She saved so hard before we went to New York last year and bought things like very high end make up and branded clothes that I would have preferred her not to spend her money on but they’re things that she’d saved up to buy so I didn’t ruin the feeling she got when she finally owned these things by questioning whether she should buy them. I would if I felt it was really necessary but on the whole, I make an effort not to. I make sure she has everything that she needs so she’s not responsible for buying clothes, shoes, school supplies etc but I don’t pay for designer names and brands, unless it’s a Birthday or Christmas treat. For example, she needed a new pair of jeans recently but really wanted a pair of TopShop jeans that cost a fortune. I gave her £20 and told her to buy some jeans when she was out shopping so it was up to her whether to go for the cheaper brand and have change, the middle brand and use up what I gave her or a more expensive brand and pay herself. Once a week she’s in charge of making tea for us all which includes planning what we’ll be having, writing what we’re going to need and then finally preparing the meal. 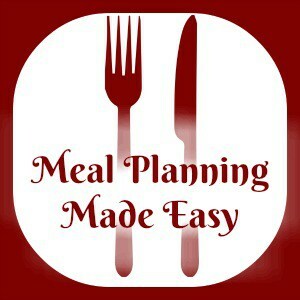 She doesn’t have a set budget for meals as it depends what she’s cooking but she knows that she has to try and keep costs down so nothing too extravagant. She usually cooks one of the meals we shared here or something similar. It’s important to me that she has a debit card because she needs to learn that money is money even if she doesn’t actually see it. Cash is going to be used less and less as she gets older so I want her to learn that spending money on a debit card is the same as spending actual cash – which I know sounds daft but I know myself that it’s easy to forget how much you’re spending on a debit card and I’ve learned the hard way a few times that it adds up very quickly. 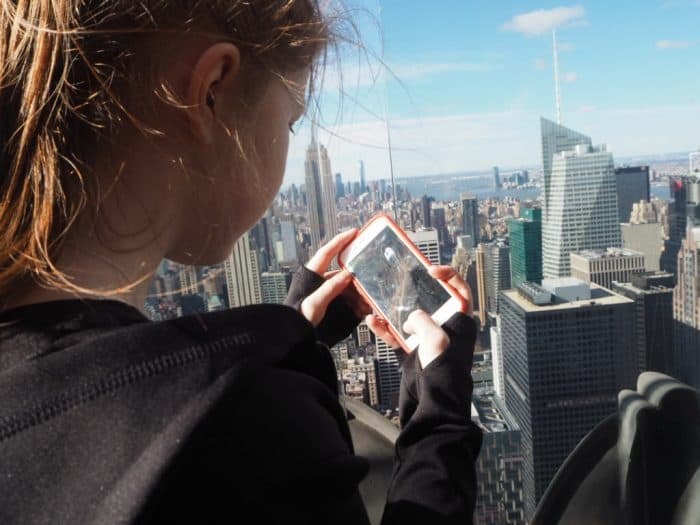 Being able to manage her money online is important too so we shopped around for the account with the best online access for children’s accounts before deciding on Nationwide which seems ideal for what we wanted. The same as I don’t judge when she wants to buy something I don’t necessarily agree with, I don’t tell her how to spend her money or what not to buy. She learned a lesson early on when she spent all her money on an expensive makeup palette and had to spend the rest of the month with no money. She wanted to get an advance but we said no and she had to miss out on a shopping trip with her friends because she had no money which was mean I know but it did the trick! I am strict with my no advance policy but in the example I used above where she had no money to go shopping with her friends, I did offer to give her enough money for her train fare and to get lunch and a snack while she was out. She said no as it wouldn’t have been fun apparently but I did give her the option as ultimately, she’s still a child and is going to make mistakes. I want her to learn lessons and I work hard to make sure she does but I’m always going to want her to have fun too and not to miss out on things. I really hope she continues to be as sensible with money as she is now! 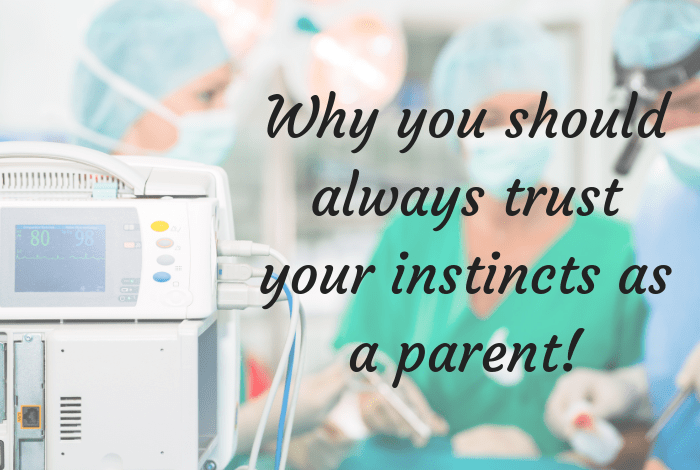 Why you should ALWAYS trust your instincts as a parent….